Predicting successful liberation of patients from mechanical ventilation has been a focus of interest to clinicians practicing in intensive care. Various weaning indices have been investigated to identify an optimal weaning window. 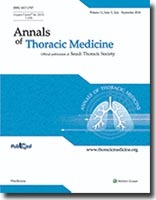 Among them, the rapid shallow breathing index (RSBI) has gained wide use due to its simple technique and avoidance of calculation of complex pulmonary mechanics. 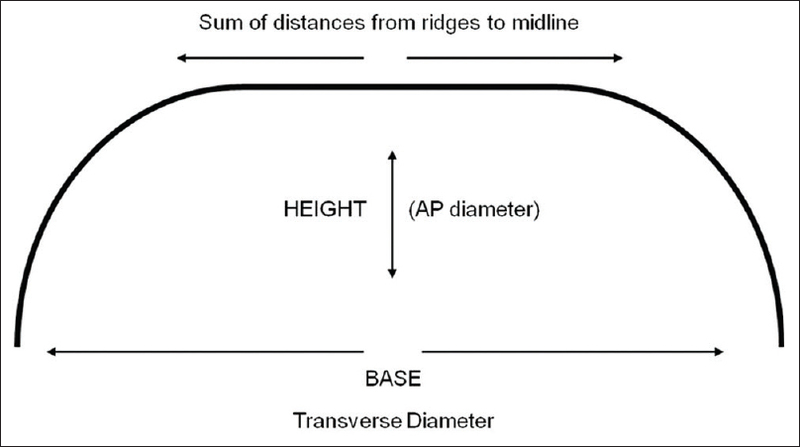 Since its first description, several modifications have been suggested, such as the serial measurements and the rate of change of RSBI, to further improve its predictive value. The objective of this paper is to review the utility of RSBI in predicting weaning success. In addition, the use of RSBI in specific patient populations and the reported modifications of RSBI technique that attempt to improve the utility of RSBI are also reviewed. Background: Medical thoracoscopy (MT) or pleuroscopy is a procedure performed to diagnose and treat malignant and benign pleural diseases. Totally 2752 pleuroscopies executed in 1984–2013 in our center were considered in this study. Methods: A retrospective observational study was performed. Observational time was divided into six series of 5 years. We calculated MT diagnostic yield and analyzed trends of main diseases diagnosed along the time. Results: Along the 30 years population became progressively older. Number of pleuroscopies firstly increased, then stabilized and decreased in the last 5 years. The overall diagnostic yield of MT was 71%, increasing from 57% to 79%. The diagnostic yield was significantly higher in the presence of monolateral pleural effusion. Cancer represented more than half of diagnosis; tuberculosis was the most common nonneoplastic disease. The frequency of all cancers, mesothelioma, and lung cancer increased through the time; tuberculosis first decreased and then increased. All specimens resulted appropriate during the last 25 years. Conclusion: MT has a great diagnostic yield that can be improved by practice, permitting to achieve a specific histological diagnosis in about 80% of patients. Our experience demonstrates that the accurate selection of the patients undergoing to MT is very important to reach these results. Introduction: The tobacco epidemic is a major public health threat facing the world. Tobacco dependence is recognized as the greatest preventable cause of disease and death. Medical students are in key position influencing future tobacco cessation programs. Objectives: The primary objective of this study is to evaluate the prevalence of smoking among medical students across Lebanon and their smoking attitudes. It also investigates their attitude toward smoking, showing where they really stand on this major public health issue. This study helps better tackle anti-smoking campaigns among both physicians and patients. Methods: This cross-sectional study was conducted by sending a questionnaire to currently enrolled medical students at all seven medical schools in Lebanon. The 32-item questionnaire was used, comprised three sections assessing sociodemographic characteristics, smoking habits, and attitudes toward smoking among Lebanese medical students. The questionnaire was launched online on Limesurvey to retain anonymity. The data were then transferred to Statistical Package for Social Sciences for analysis. Data were expressed as percentages for discrete variables and as mean ± standard deviation for continuous variables. Results: One hundred sixty-three complete responses remained of the 182 obtained responses. Forty-two of the total 163 students identified themselves as either daily or occasional smokers yielding a prevalence of 25.8%. Smokers were less likely to ask patients about their smoking habit and to counsel them about smoking cessation. Almost one-third of smokers felt that they had no obligations toward the society. Conclusion: Approximately 1 in 4 Lebanese medical students is a smoker. Students who smoke are less likely to ask patients about their smoking habits and to counsel them on smoking cessation. This is a major drawback in the fight against tobacco. This calls for better education of our future doctors on smoking cessation to decrease the smoking burden on our Lebanese society and worldwide. Introduction: Pediatric lung abscesses can be primary or secondary, and there is limited data regarding response to treatments and patient outcomes. Objectives: To assess the clinical and microbiologic profile of pediatric patients with lung abscess and assess the differences in outcomes for patients treated with medical therapy or medical plus surgical therapy. Methods: A retrospective review of all pediatric patients ≤ 18 years of age that were treated as an inpatient for lung abscess between the dates of August 2004 and August 2014 was conducted. Patients were divided into two subgroups based on the need for surgical intervention. Results: A total of 39 patients with lung abscess (30 treated with medical therapy alone, 9 also required surgical interventions) were included. Fever, cough, and emesis were the most common presenting symptoms, and most of the patients had underlying respiratory (31%) or neurologic disorders (15%). Staphylococcus aureus was the most common organism in those that had culture results available, and ceftriaxone with clindamycin was the most common combination of antibiotics used for treatment. Comparison of medical and surgical subgroups identified the duration of fever and abscess size as risk factors for surgical intervention. Conclusions: Pediatric lung abscesses can be managed with medical therapy alone in most cases. Presence of prolonged duration of fever and larger abscess size may be predictive of the need for surgical intervention. Good clinical response to prolonged therapy with ceftriaxone and clindamycin was noted. Objectives: To compare QuantiFERON-TB gold in tube (QFT-GIT) test with tuberculin skin test (TST) in detecting latent tuberculosis infection (LTBI) among a general population in Saudi Arabia. Methods: A population-based cross-sectional study was conducted between July 2010 and March 2013 among individuals randomly selected from the list of those receiving care at primary healthcare centers in three provinces of Saudi Arabia; Central, Western, and Eastern provinces. Those younger than 5 years, immunocompromised, had a current or previous history of active TB, LTBI, or who were receiving anti-TB medications were excluded. Informed consent was obtained before the study questionnaire was completed. Participants were then evaluated for LTBI using QFT-GIT test followed immediately by TST. Results: Of the 1369 subjects included in the final analysis, QFT-GIT was positive in 124 (9.1%) and TST was positive in 127 (9.3%). Positive concordance was observed in 49 (3.6%) subjects while negative concordance was observed in 1167 (85.2%) subjects. The overall agreement between the two tests was 88.8% with a significant kappa (κ) test (κ = 0.332,P< 0.001). Concordance was significantly higher in younger age, female gender, single status, students, primary education, living in middle-sized families, and never smoked. Conclusions: The overall agreement of TST and QFT-GIT for the detection of LTBI among a Saudi general population was 88.8%. QFT-GIT is probably comparable to TST for detecting LTBI in an intermediate TB burden country with high at birth bacille calmette guerin vaccination coverage. Further prospective studies are needed to compare the ability of both tests to predict TB disease. Introduction: Treatment-emergent central sleep apnea (TECSA) is the appearance of central apneas and hypopneas after significant resolution of the obstructive events has been attained using positive airway pressure (PAP) therapy. The aim of the study was to determine the prevalence of TECSA and to understand what factors are associated with its development. 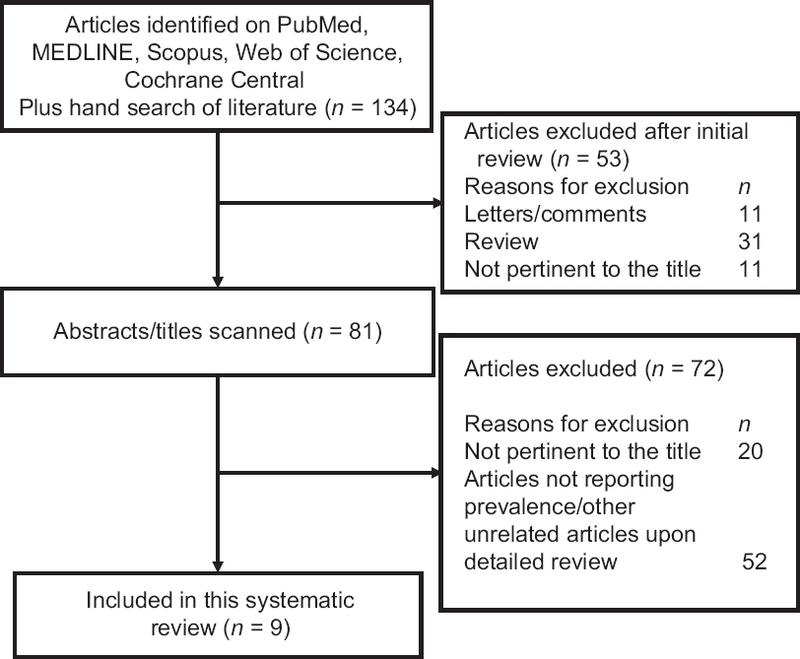 Methods: PubMed, MEDLINE, Scopus, Web of Science and Cochran Library databases were searched with Mesh headings to locate studies linking TECSA and obstructive sleep apnea (OSA). Results: Nine studies were identified that reported the prevalence of TECSA ranging from 5.0% to 20.3%. 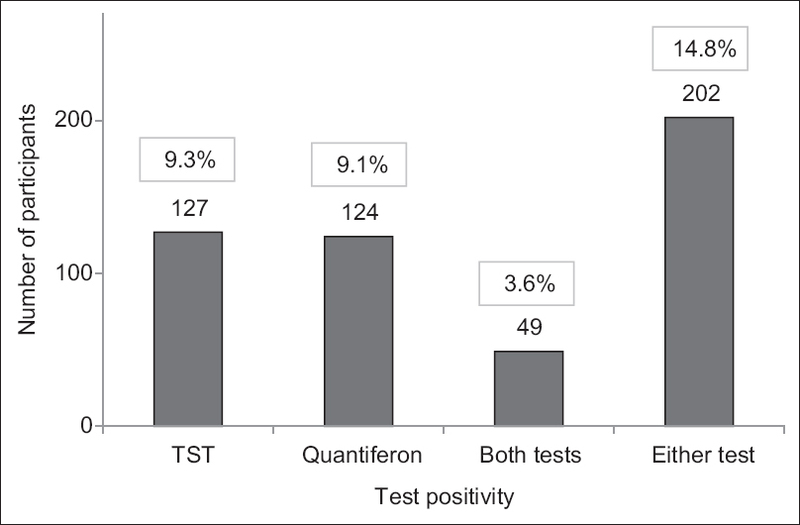 Prevalence of TECSA for studies using only full night titration was between 5.0% and 12.1% where as it was between 6.5% and 20.3% for studies using split-night polysomnogram. The mean effective continuous PAP (CPAP) setting varied between 7.5 cm and 15.2 cm of water for patients in TECSA group and between 7.4 cm and 13.6 cm of water for the group without TECSA. Conclusions: The aggregate point prevalence of TECSA is about 8% with the estimated range varying from 5% to 20% in patients with untreated OSA. The prevalence tends to be higher for split-night studies compared to full night titration studies. TECSA can occur at any CPAP setting although extremely high CPAP settings could increase the likelihood. Male gender, higher baseline apnea-hypopnea index, and central apnea index at the time of diagnostic study could be associated with the development of TECSA at a subsequent titration study. Background: Middle East Respiratory Syndrome (MERS) is a disease of the lower respiratory tract and is characterized by high mortality. It is caused by a beta coronavirus (CoV) referred to as MERS-CoV. 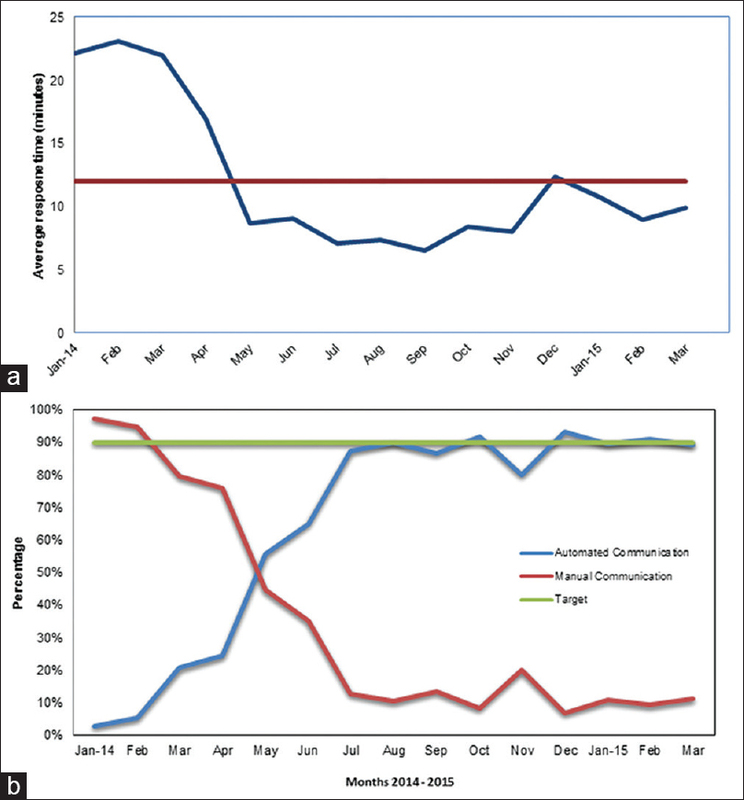 Majority of MERS-CoV cases have been reported from Saudi Arabia. Aim: We investigated the human leukocyte antigen (HLA) Class II alleles in patients with severe MERS who were admitted in our Intensive Care Unit. Methods: A total of 23 Saudi patients with severe MERS-CoV infection were typed for HLA class II, results were compared with those of 161 healthy controls. Results: Two HLA class II alleles were associated with the disease; HLA-DRB1*11:01 and DQB1*02:02, but not with the disease outcome. Conclusions: Our results suggest that the HLA-DRB1*11:01 and DQB1*02:02 may be associated with susceptibility to MERS. Background: Modifications defined to ease bending of the support bar and lateral stabilizer placement during minimal invasive repair of pectus excavatum (MIRPE) have not been reported. We herein report our experience with MIRPE including several technical modifications. Methods: A total of 87 patients who underwent MIRPE were evaluated retrospectively. Technical modifications are (1) a template drawn preoperatively according to the anthropometric measurements, (2) more laterally placed thoracal incisions, (3) single existing incision for multiple support bars, (4) to secure lateral stabilizers to support bar in inverted position. 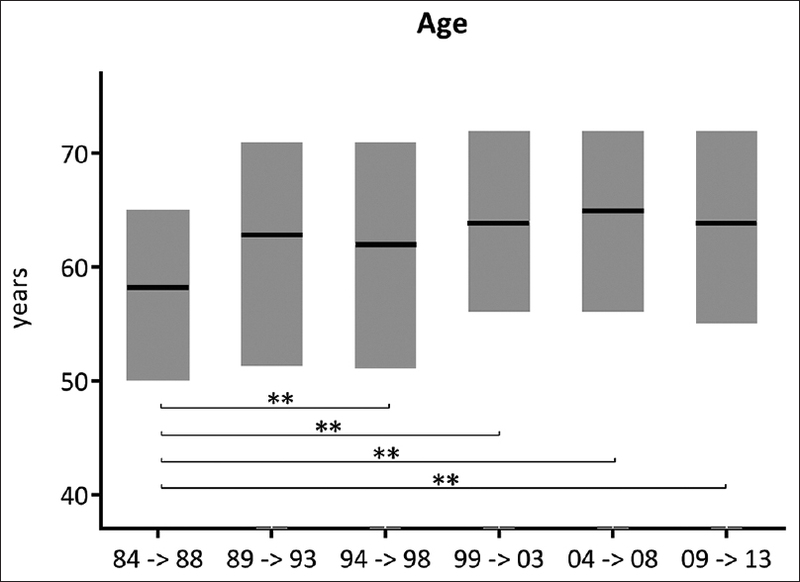 Results: The mean patient age was 11.2 ± 3.8 years. The mean operating time was 63.7 ± 18.7 min. The mean Haller index was 5.4 ± 2.1. Eight patients necessitated two support bars. The support bars were removed in 69 patients after the completion of treatment. Support bars were left in place 26.8 ± 4.3 months. Final chest contours of the 56 patients were evaluated as 12 months passed after support bar removal and excellent repair results were determined in 84.2%. Conclusion: Preoperative bending of the support bar according to anthropometric measurements and fixation of the lateral stabilizers to the support bar in inverted position facilitates bar shaping and lateral stabilizer placement. Natalizumab (Tysabri®) is a leukocytes chemotaxis inhibitor that decreases the leukocytes passage through the hematoencephalic barrier and it is currently used in relapsing-remitting forms of multiple sclerosis (MS). We present a patient with allergic rhinoconjunctivitis diagnosed with MS who started treatment with natalizumab. She began to show mild asthmatic symptoms until she needed admission to the hospital due to respiratory insufficiency. 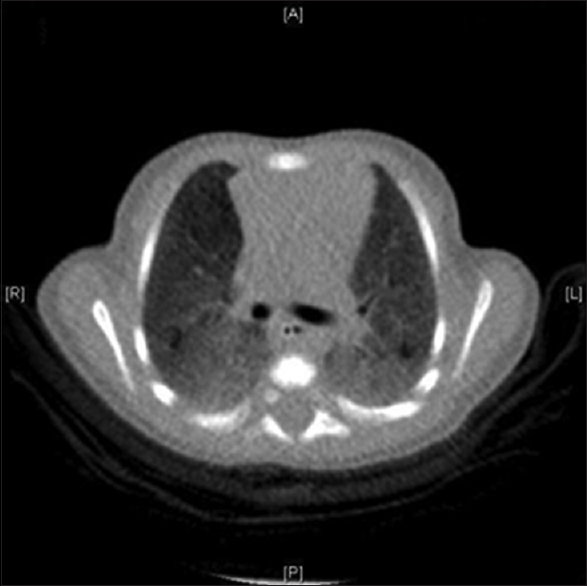 Blood tests showed peripheral eosinophilia and the thoracic computed tomography scan demonstrated pulmonary infiltrates. The bronchoscopy with the bronchoalveolar lavage resulted in eosinophilic alveolitis. No evidence of bacterial, fungal and parasitic infection, connective tissue disease, or vasculitis were observed. After discontinuation of natalizumab, the patient improved without other treatments. As MS is a prevalent disease and the use of natalizumab is increasing, we consider important to point out that this drug can be associated with pulmonary eosinophilia, especially in patients with allergic rhinoconjunctivitis or asthma. Mutation in ABCA3, which is adenosine triphosphate-binding cassette member A3, a member of protein transporter family for phospholipids into the lamellar bodies during synthesis of surfactant, can cause lung disease related to surfactant dysfunction with autosomal recessive pattern. We reported three cases from same family with ABCA3 mutation, their gene, clinical course, and outcomes mentioning that one patient had successful lung transplantation, one started the process of the lung transplantation while the third one died during infancy. We concluded that the patients with ABCA3 gene mutations are increasing in numbers may be due to the availability of the genetic testing and high index of suspicion among physicians. Lung transplantation is the definitive treatment, but availability is limited in our region.